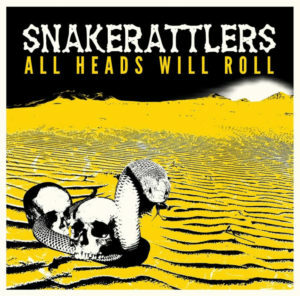 Louder Than War favourites The Snakerattlers are set to release their new album ‘All Heads Will Roll’ (Dirty Water Records) on the 8th February 2018; the album is being released on both LP and CD as well as digital formats. Two launch events are to be held, the first will take place on Friday 8th February at The Fulford Arms, York, entry is just £5, and will also entitle you to £5 off the cost of the album! Advance tickets are available from the Event page. The second gig takes place in London on Saturday 9th February at The Finsbury, Harringay, London N4 1BY. Support from The Spacewasters, and DJ John the Revelator: Advance tickets are available direct from Dirty Water at £6.50. 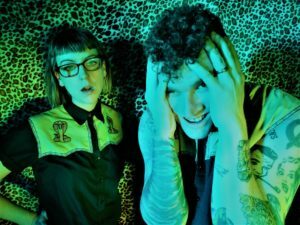 The album will be reviewed here at Louder THan War, having heard it I can say that its fantastic, and is a clear progression from the 2017 debut ‘This Is Rattlerock’ (LTW Review), and should see the band reach a far wider audience.